Since I made carrot cake for Family Day, my whole family has been craving for more of it. I cannot really blame them because the cake and cream cheese frosting is quite delicious and I myself have been finding myself with the occasional craving. Carrot cake is not necessarily the healthiest thing to eat and so I will not be making another until probably the Easter long weekend in April. 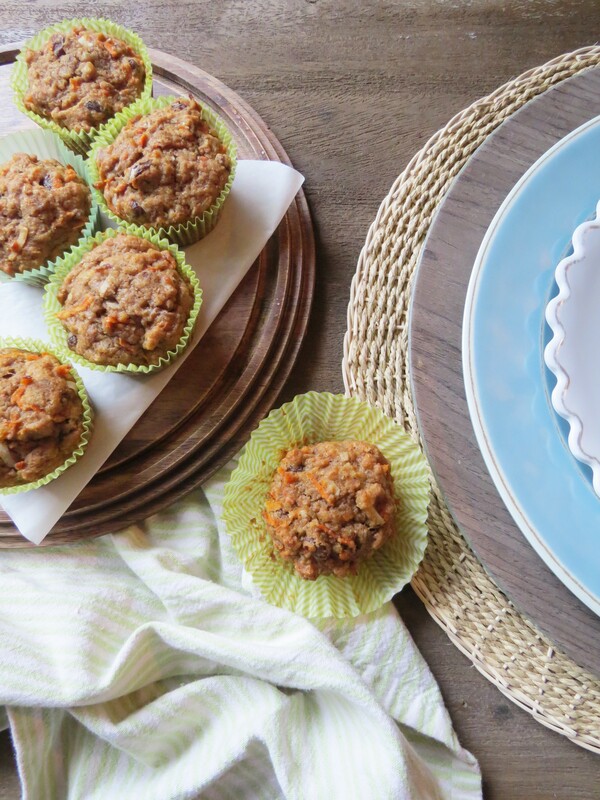 Until then, I have got my family hooked on these better-for-you whole-wheat carrot muffins. Yes, they are made with whole-wheat flour but they are moist thanks to the apple sauce and the flavours are similar to that of carrot cake. 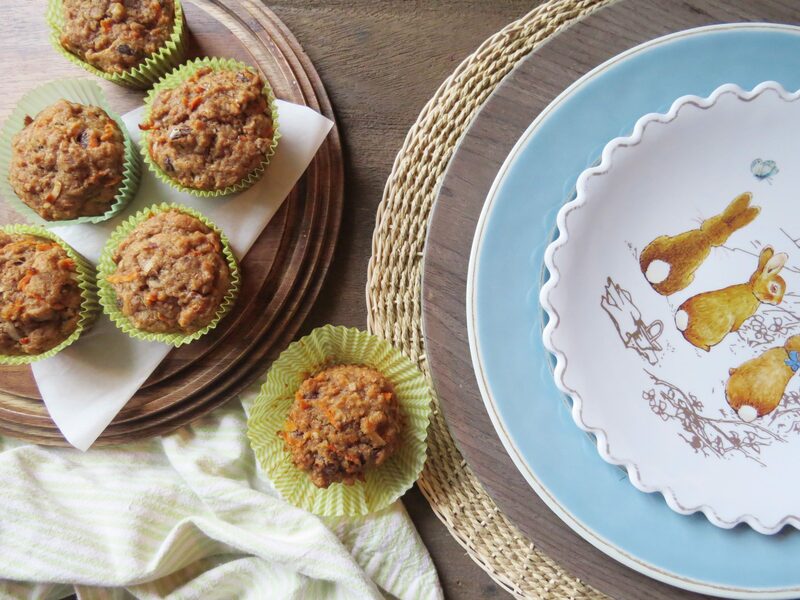 If you are a fan of carrot cake, you will definitely love these! Preheat the oven to 350 degrees Fahrenheit and line your muffin tins with paper liners. In a bowl, thoroughly mix together the flour, ground flax seeds, baking powder, baking soda, and pumpkin pie seasoning. In another bowl, blend the butter, brown sugar, egg, vanilla, and unsweetened apple sauce. Using a wooden spoon, slowly blend the flour mixture into the wet ingredients. Take care not to over mix. Fold in the carrots, pecans, raisins, and shredded coconut. Equally distribute the batter into 18 muffin cups. The batter will seem quite thick but will bake up to a be a very soft and moist muffin. Bake the muffins until done, approximately 20 min (please note that baking times may vary due to different oven temperatures). When done, a toothpick inserted into the centre of a muffin should come out clean. Let muffins cool on a cooling rack before serving. Pecans, raisins, and shredded coconut can be omitted if desired. If you don’t have pumpkin pie seasoning, try adding 1 1/2 tsp of cinnamon and 1/2 tsp allspice. Muffins can be kept in an airtight container at room temperature for several days. If you are not planning to eat the muffins in two or three days, they can be easily frozen.